Acid Reflux is an intestinal problem which is caused by the failure of the lower esophageal sphincter (LES), when it gets contract after swallowing food. This can cause stomach acid to regurgitate up into the esophagus, creating a lot of discomfort and a burning sensation behind the breastbone. This condition can result in heartburn, nausea, chest pain, difficulty in swallowing, etc. Yogurt is a natural food that is widely used to alleviate the symptoms of heartburn or acid reflux. It has a soothing effect which cures the irritation, pain or discomfort caused by acid reflux. Is Yogurt Good for Acid Reflux? It is a cool, smooth and alkaline food that has soothing effect on the esophagus. It contains probiotics, a form of beneficial bacteria that are found in the digestive tract. This also helps to boost the immune system for overall health. It is used for the proper absorption of proteins and nutrients by the body. It is a protein source which is very useful in the prevention of acid reflux as it properly digests the food. It is a good source of calcium which helps to strengthen the muscles in the lower esophagus. It reduces the inflammation, the formation of gas in the intestine, improves intestinal motion and also reduces the pain and discomfort. One of the best home remedies for acid reflux is ginger because of its digestive juices and anti – inflammatory properties. It helps for better digestion and cures the irritation and inflammation in the esophagus by absorbing stomach acids and aids in proper digestion. Yogurt when mixed with ginger absorbs the required proteins and nutrients from the food. Wash fresh ginger piece and peel off the skin. Grate it or cut it into small pieces and mix into 1 cup of yoghurt. Consume this regularly to prevent acid reflux. Consume 1 cup of low fat, plain yogurt. Regularize the habit of taking this yogurt for at least once or twice a day. Yogurt and fruit smoothie is a quick, easy and effective way to get all the required nutrients from the fruits and yogurt for proper health of digestive system. They are easily digested without causing any heartburn or acid reflux, and they taste good. Peel the skin off the banana, mango, pineapple and cut the fruits into pieces. Place these fruits and yogurt in blender and blend until smooth. Add honey or white sugar and stir well. Ice or frozen fruits can be added to iced smoothie. Intake of yogurt with cereal and other fruits provides all the essential nutrients that are required by the body. Have this in the morning to kick start your body for the day. Cut up fresh fruits like kiwi, nectarines, plums, berries, etc. Divide cereal or bran flakes among 2, 1 ½ cup serving dishes. Add yogurt over the cereals then add the fruits. Drizzle with honey and consume in the morning regularly. Yogurt is an alkaline food which helps to prevent acid reflux and strawberries are low in acid (less acidic content) which also eases acid reflux and heartburn. Nuts like pistachios are also used in the treatment of acid reflux. Follow this combinational process to get rid of acid reflux. Chop strawberries and pistachios into fine pieces. Stir in yogurt and strawberries and drizzle it with honey. Sprinkle with chopped pistachios and consume. Repeat about once or twice a week. One of the recommended home remedies for acid reflux is honey as it soothes and heals damaged tissues. Stir together low fat and plain yogurt and honey. Consume this as soon as acid reflux symptoms occur. Flaxseed is rich in fiber which allows food to easily be digested and neutralizes the acid level in the intestine. Stir 1 cup of yogurt and 1 tablespoon of ground flaxseed. Consume to get a soothing effect on the stomach. Regular intake will help with this problem. This combination of yogurt with ginger herb and lemon juice helps to reduce the acid reflux symptoms effectively. Mix yogurt, fresh lemon juice and ground ginger. Note: Use low fat greek yogurt to get complete relief from acid efflux. Greek yogurt contains less lactose containing liquid than regular yogurt. It is low in fat and can be used in cooking, however make sure that you don’t consume too much or it can make the problem worse. 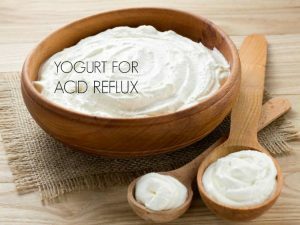 Check here how to se greek yogurt to treat acid reflux. Consume thick 1 cup of Greek regularly on its own, or use in your cooking. Finely chop the candied ginger and coarsely chop dried cherries. Pour yogurt in a large reseal-able bag and snip off the end. Pipe a 1-inch thick layer of yogurt into the bottom of 4 quart trifle dish which is 7 ½ inch in diameter and 5 inches deep. Top with raspberries and drizzle with honey. Add 3 cups of the granola mixture. Layer again with yogurt and raspberries. Garnish with sliced candied ginger and drizzle with honey. When consumed this will help with acid reflux, but only have this occasionally. To help you find the right yogurt, use the following information. It should be low fat or fat free yogurt. Plain yogurt is generally free from added sugars rather than flavored. If you prefer plain yogurt, you can naturally sweeten up with non – acidic fruits like peaches, berries or melon etc. Use yogurt that has live and active cultures and also which is high in friendly bacteria called probiotics, helps to maintain the balance between the good and bad bacteria. Generally yogurt is filled with probiotics which is good for the digestive and intestinal tract, and the fact that the frozen has soothing effect. However make sure not to top with sugary toppings. Taking probiotic supplements can also get rid of acid reflux. Consume with water for more effective results. Acidic foods tend to erode the esophagus and that further leads to inflammation. Yogurt also comes under acidic foods, so only take the recommended amount. Pregnant, breast feeding women and children can get instant relief from heartburn by consuming yogurt in limited quantity. For more effective results, consume 1/2 cup of low fat frozen after a large meal to aid in digestion. People those who are allergic or sensitive to dairy products should avoid yogurt remedies. Do not consume high fat yogurt as it increases the acid reflux symptoms. Also avoid yogurt which has artificial sweeteners and other additives. These remedies can take 4 – 7 days to show effective results. Consult your healthcare provider If you don’t get relief from acid reflux after following these remedies. If you know any other yogurt remedies for acid reflux, don’t forget to share your experience with us. Is there a certain BRAND of greek yogurt you recommend for acid reflux? I am fighting the acid reflux rebound of discontinuing omeprazole after years of use. I have tried various remedies suggested by medical staff and online articles, with very marginal success. A few days ago, I found a site that recommended yogurt. I live in a small town…with only a small grocery store…so with limited immediate options what I tried was the dannon greek yogurt 70 calorie and the 100 calorie. It is four days of yogurt for breakfast, and my acid reflux is doing better than it has since discontinuing the omeprazole!! But I am not sure if something like the kind of yogurt recommended in the commercials by Jamie Lee Curtis would be even more effective? Please advise…and thanks. Whatever brand you choose, make sure it is unsweetened yogurt without additional flavours. Hey, I have been going through a very similar withdrawl, and natural yogurt is the best. I’d recommend making your own at home so you know for sure there aren’t any chemicals you don’t want, while also controlling the quality of milk. One ingredient for your Yogurt and Fruit Smoothies show Pineapple.. Isn’t it a fruit not recommended for acid reflux? I was just recently diagnosed with Barrett’s Esophagus and I was told this is a fruit I should not eat. I love pineapple. Could you comment please, thank you. I enjoy your site. If pineapple can trigger the acid reflux in you then avoid consuming it. Im trying yogurt now for my acid reflux ……it,s very helpful …..when getting rid of symptoms ….hearburn etc …… I’m miserable at times . .. 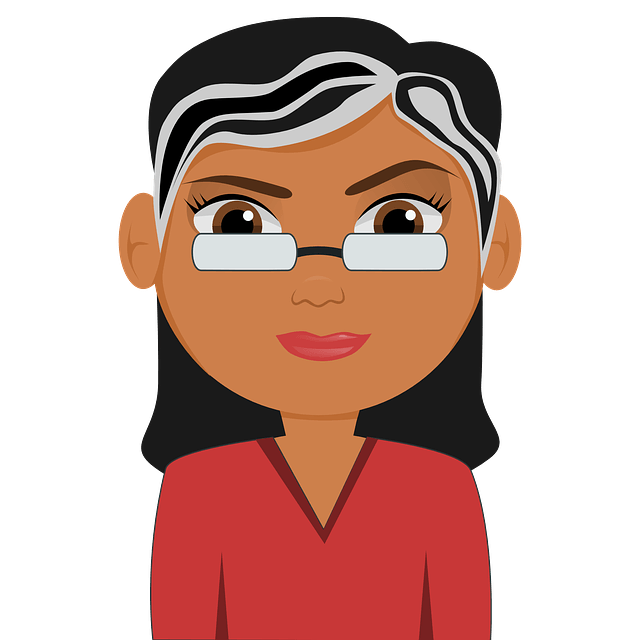 I have been on prescription meds for my reflux ….. for quite some time now ….. This might be due to acid reflux. Try any method mentioned in the article as specified. If you are not getting improvement, then consult a doctor. I was confined last may because of acid reflux (gerd). It was so terrible. My doctor advised me to take omeprazole for 1 month. After a month of taking the medicine, I decided to stop as i was feeling unwell while I was on it. And I felt better. I tried yakult every after meal and I think it helped me deal with my reflux. Now I am trying to eat a bit more everyday and I thank God I did! And also tried to get back on my morning regime which is taking a cup of coffee every time I wake up, but this time I’m on decaf..Now, my concern is, can I take yogurt (strawberry flavored)? The one that I buy from the supermarket for my kids. I read an article that yogurt really helps with acid reflux but I don’t know which one is good. Can u pls tell me? Nope, avoid eating flavored yogurts as the preservatives added in them can aggravate the problem. We recommend taking unsweetened yogurt for effective results. does acid reflex make your voice sound raspy ? Does pomegranate juice with yogurt help?? Is there any green tea I can drink with acid reflux? Hi there, I like that such article exists and hope that it helps many people suffering from acid reflux. Yakult has live cultures in it so not surprising that it would help in that situation. Can any plant based yoghurt could be recommended for reflux? I am currently trying the plant based yoghurt Koko which includes S. thermophilus and l. Bulgaricus instead of the lactobacillus casei which is in yakult (shirota type) and a bit in the fage yoghurt. Does any live cultures help improve reflux?